As we enter a new Fort Lauderdale real estate market , a more balanced one, properties such as Birch Tower, with a superior location will certainly benefit. Read more about Birch Tower Condos in Fort Lauderdale, Florida. 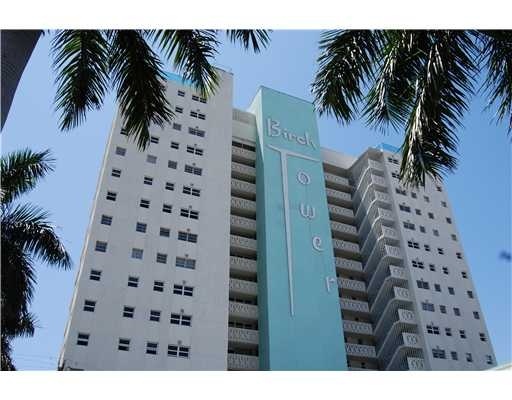 Birch Tower Condominium is located in the beautiful beach district of Fort Lauderdale. The Tower soars 17 stories in the air with views of both the intracoastal waterway, the ocean and downtown Fort Lauderdale skyline. Birch Tower is a great classic florida beach property with a roof top heated pool and garden area. Recreation and excercise rooms are also some of the great ammentities of this great condo building. The building is located just a couple of blocks away from great restaurants, shopping and night life. At Eric Miller and Associates, "We're here to help" with your next Birch Tower Condo purchase or sale. Contact us directly at (954) 383-8170.